Weekly news recaps and editorial discussions about the Big N by some of the biggest fans around. The gang reunites for a new episode pre-E3 2018. This week we discuss Pokémon Let's GO, Super Smash Bros., and make our predictions for E3 2018. This year's outro music is insaneintherainmusic's cover of Coconut Mall, from Mario Kart Wii. Join Alex, Ben, and Colin as they join each other IN PERSON to discuss their experience at E3 2017, including Super Mario Odyssey, the Raving Rabbids, Splatoon 2, surprise Metroid games, and so much more. This week's outro music is "Jump Up, Superstar," by Mayor Pauline. Just letting everyone know what's going on! Please understand. Join Alex, Ben, and Colin for the first Nintendo Week of 2017, doubled in length as we emerge from our slumber with rusty podcasting skills and much to say about Nintendo Switch and all that surrounds it. We cover everything we learned from the Switch Presentation, including hardware, software, pricing, third-party relations, and so much more, before moving onto what all this tells us about Nintendo's prospective future. This week's outro music is insaneintherainmusic's rendition of "Dolphin Shoals," from Mario Kart 8. Join Ben and Colin as they herald the end of 2016 by discussing tons of news about Nintendo Switch, Super Mario Run, Pokémon GO, and tons more. This week's outro music is InsaneInTheRainMusic's rendition of Vast Pony Canyon, from Pokémon Sun and Moon, featuring SwigglesRP. 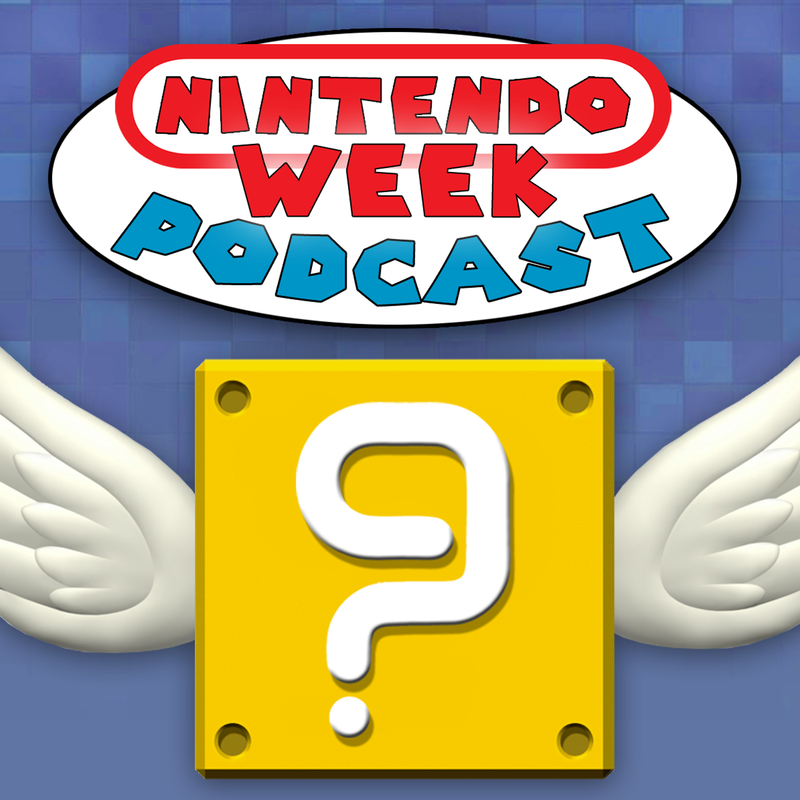 Join Alex, Colin, and Ben, for an extra-long episode as we answer your questions all about Nintendo Switch in the Mystery House, including questions about 3D platformers, Mother 3's international release, Decidueye joining Smash Bros. to represent Pokémon Sun and Moon, and more. Then we hold a long discussion segment all about the overwhelmingly cool new trailer for Zelda: Breath of the Wild, which was revealed at The Game Awards earlier this week. This week's outro music is an acoustic cover of The Lich Yard, Specter Knight’s stage theme in Shovel Knight, by Streetwise Rhapsody on YouTube. Join Alex, Colin, and Ben, as we break down another huge amount of Nintendo news, including EA's support for Switch, Phil Spencer's wish to see Banjo in Smash, what feels like yet another delay for Zelda: Breath of the Wild, and tons of reports about Nintendo Switch's software lineup. After the break, we sit down to talk about the newly-launched Pokémon Sun and Moon, and our full thoughts on what they do so right and so wrong. This week's break music is Bulby's 8-bit rendition of the Hau'oli City theme. This week's outro music is Theophany's rendition of the Deku Palace theme from Zelda: Majora's Mask, from his new album "Time's End: Part II." Join Alex, Ben, and Colin as they boil down the last few weeks of Nintendo news, including tons of news and reports relating to Nintendo Switch, Animal Crossing's major new update, the official end of Wii U, Croagunk's inclusion in Pokkén Tournament, Game Freak's comments on future Pokémon remakes, and tons more. This week's outro music is insaneintherainmusic's rendition of "Still Alive," from Portal. Join Alex, Ben, and Colin this week, as we open up with a Dream Land segment about our wishes for Mario Kart on Nintendo Switch, from characters, to courses, game modes, and more. Afterwards, we have a longer-form discussion about the future of the Virtual Console with Nintendo Switch, and the new ways Nintendo can continue releasing their back-catalogue of classic games. This week's outro music is "Dream Racing," a remix of Mario Kart 64's Rainbow Road theme, by prozax.